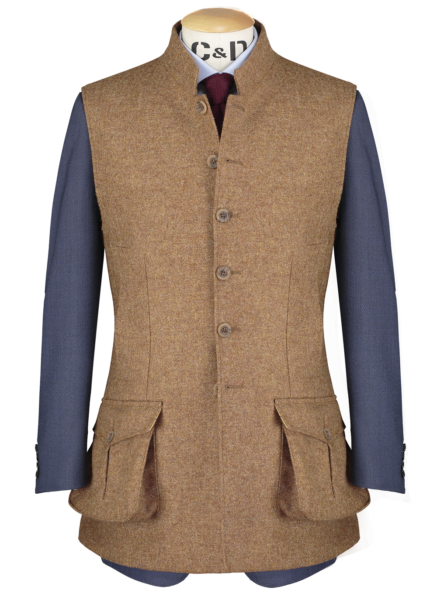 Countrywear or casualwear, this wool gilet is ideal for both. 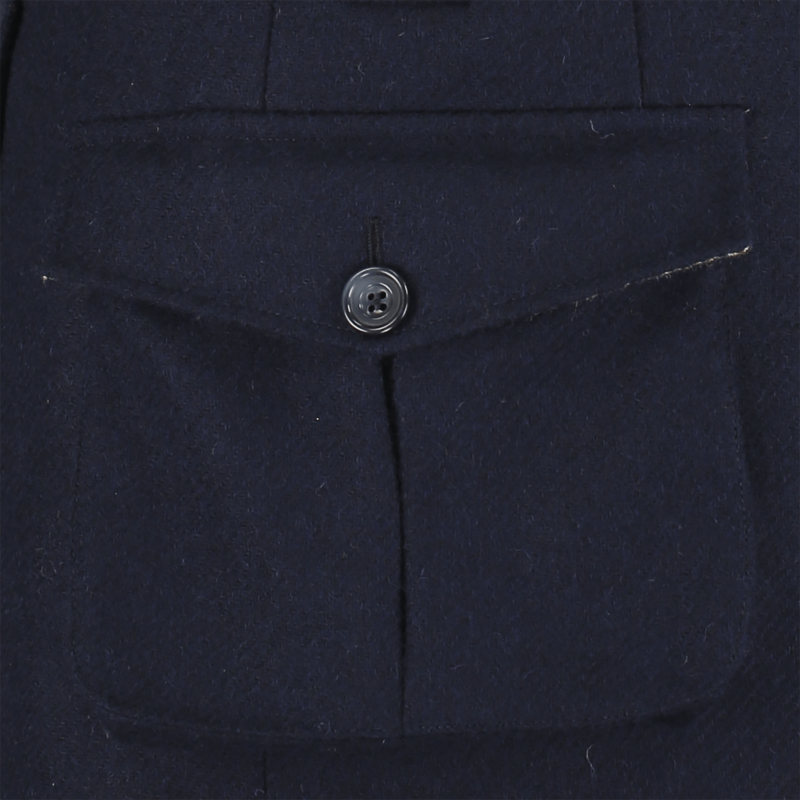 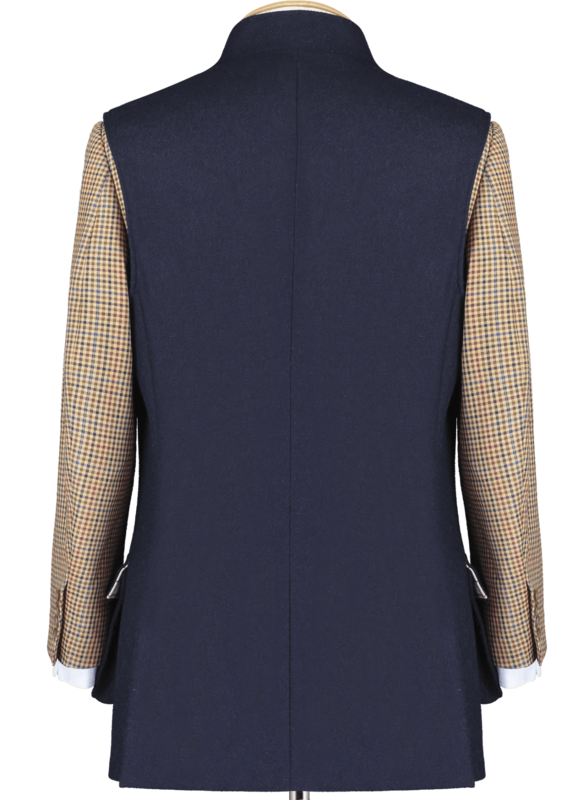 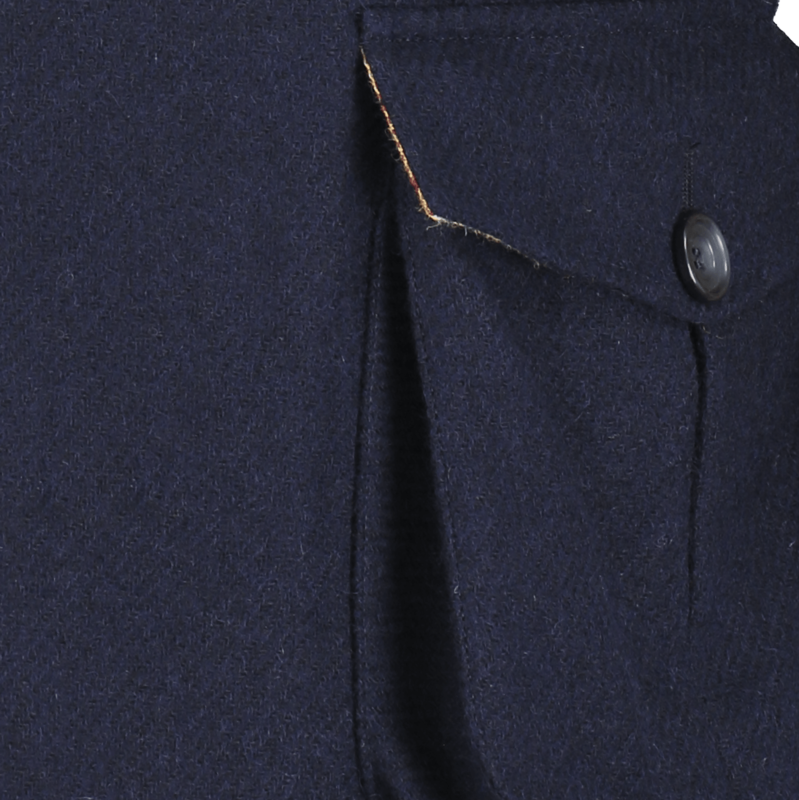 Featuring two stroller patch pockets with box pleats, brown horn buttons, a mandarin collar and double back vents for a sharp silhouette, it's just the thing for a day's shooting or when you're out and about in the city and it's not quite cold enough for a coat. 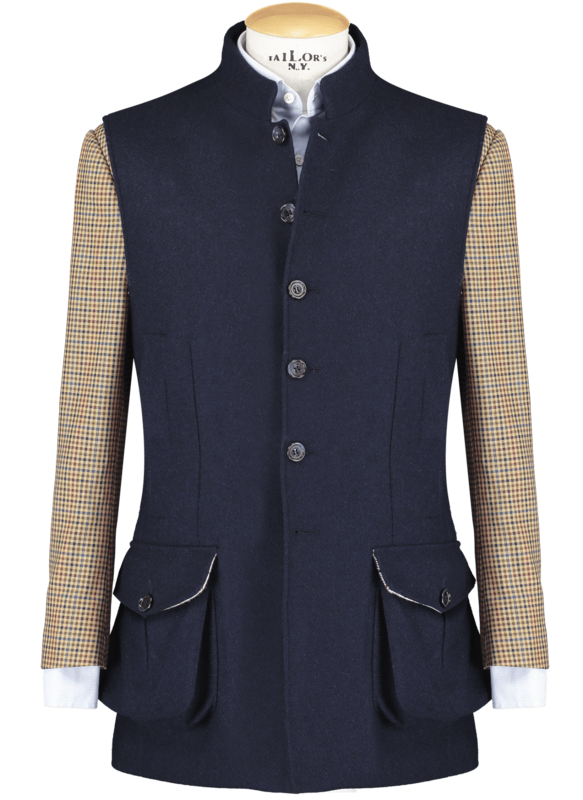 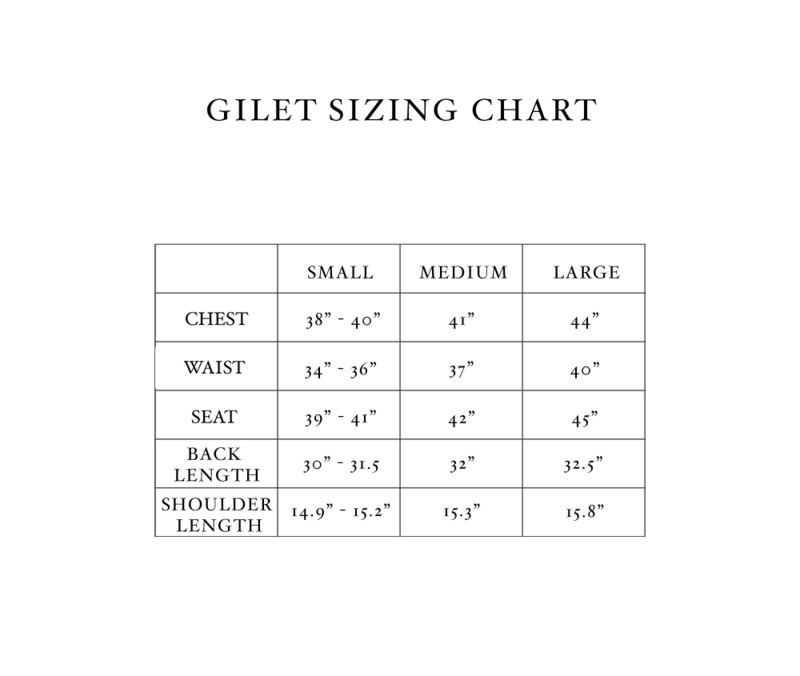 Wear with country separates, over business suits, or mix it up with a casual blazer and jeans or chinos. Whatever your need, the unbeatable flexibility offered by this gilet is key.